There are a lot of things to love about the Fourth of July – but my favorite? The parades! 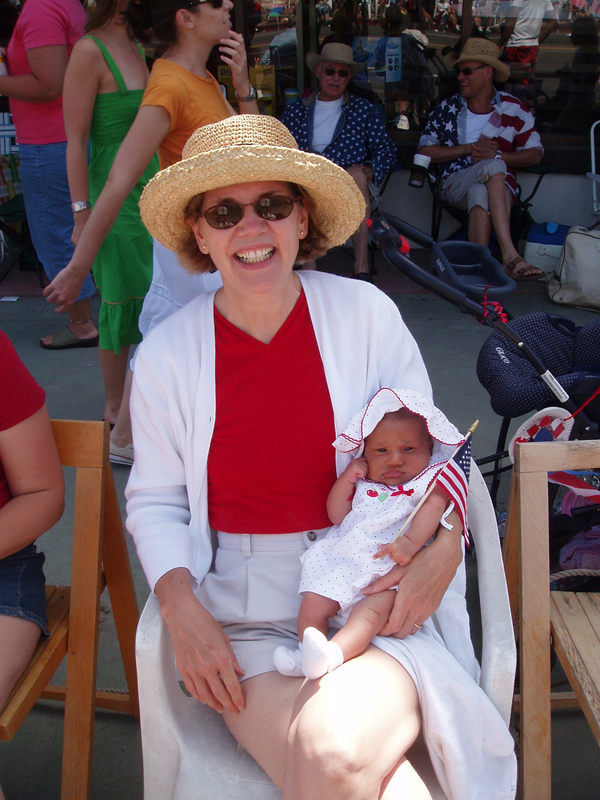 I’ve gone to Fourth of July parades almost every year since I was born. I’ve been hot and sweaty and I’ve sat in pouring rain, but I’ve loved every single Fourth of July parade I’ve ever seen. I love bands, marching Girl Scouts, decorated bicycles, clowns, drill teams, old cars, trained horses – every bit of it. I was always the lady decked out in red-white-and-blue and an oversized hat, sitting in a lawn chair with a big drink, waving a flag. Thinking about it, I don’t think I’ve ever sat through a Fourth of July parade without tears. They come unexpectedly – a little boy holding his little brother’s hand as they walk with a church group. A junior high clarinetist who is determined to keep her eyes straight ahead while she counts her steps. An old man having a great time passing out candy. Parades are a real chance for all of us to come together to celebrate the country we have built. This year I’ll be out of my chair and marching in several parades across Massachusetts, celebrating the joy of a parade in a whole new way. Happy Fourth of July to you and your loved ones!